Some years ago, I went through a phase of watching every documentary film I could get my hands on. One of the films I stumbled upon was a film about the Chernobyl disaster. I couldn’t remember when I first watched it, and it might not have anything to do with the Fukushima disaster. As with so many of the things I find interesting, there wasn’t any inherent reason why I found the Chernobyl disaster fascinating. The narrative of Chernobyl disaster is usually told in a technical and militaristic fashion. 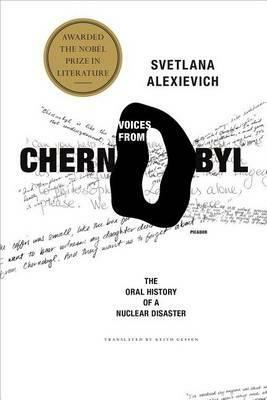 What Svetlana Alexievich did in this book wanulls to tell the disaster and its aftermath from the perspectives of the little people—farmers, wives of liquidators, liquidators suffering from the health problem from exposure to radiation, town dwellers of Pripyat, and so on. The Chernobyl disaster not only uprooted people from the areas affect, the fact that it happened in the Soviet’s twilight years (some may even say that Chernobyl disaster hastened the end of Soviet Union) also meant that those people lost not just their homes, but their countries. This book is a moving account of how these little people deal with the enormous losses in the face of disasters and political upheaval that they were not responsible for.